The pre-Columbian settlements in Amazonia were not limited to the vicinities of rivers and lakes. 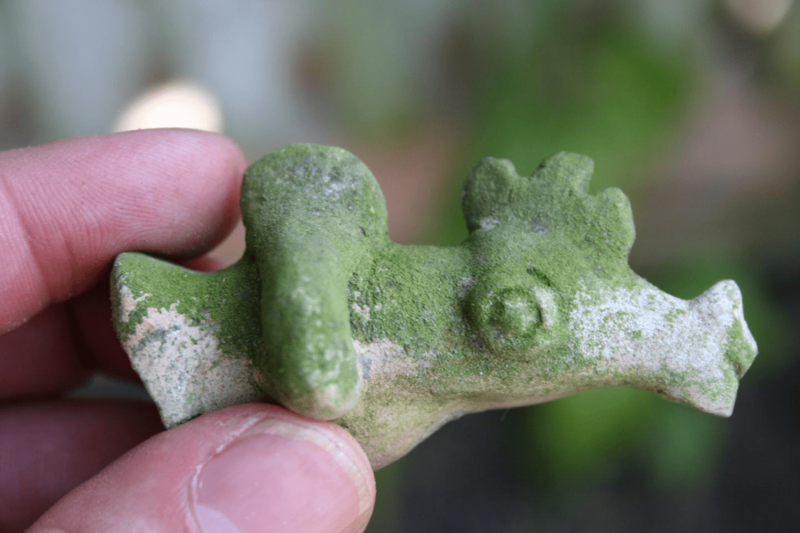 One example of this can be found in the Santarém region in Brazilian Amazonia, where most archaeological sites are situated in an upland area and are the result of an expansion of settlements in the last few centuries before the arrival of Europeans. This is concluded by a research team consisting of archaeologists from the University of Gothenburg and Brazilian colleagues. ‘Our results stand in contrast to the traditional understanding of pre-Columbian Amazonia. A common view has been that villages only existed along the rivers. However, our work shows that people eventually also populated inland areas,’ says Per Stenborg, archaeologist and director of the Swedish part of the Swedish-Brazilian project Cultivated Wilderness: Socio-economic Development and Environmental Change in Pre-Columbian Amazonia. The project started 10 years ago and involves archaeologists and soil scientists. Road constructions and exploitation in the region have rendered archaeological rescue work even more urgent. The remains of more than 110 human settlements have been found, and most of them were built on the so-called Belterra Plateau, situated south of the present city of Santarém. Some of the sites have been investigated in more detail. It has long been known that people have populated areas along the rivers for thousands of years. What Stenborg and his colleagues have been able to add to this knowledge is that something happened around the fourteenth century. ‘The oldest inland settlements we have dated are from that time. There seems to have been some type of inland expansion in connection with the development of technologies for water management and agriculture. Thus, the period A.D. 1300-1500 seems to have been characterised by major change in the prehistoric communities in this part of Amazonia, with significant population growth coupled with new types of water management and agriculture. During the dry periods, the water supply is very limited in the inland rainforests, why water storage was necessary for permanent settlement. In addition, the soil tends to be relatively poor, yet fertile soil called terra preta, or Amazonian dark earth, has emerged near settlements. According to the archaeologists, this is another indication of the presence of a large community in the area. ‘We’ve found signs of a previously unknown magnitude of community organisation. The settlements seemed to have been part of a larger organisation. One indication of this is that the pottery we’ve found is stylistically consistent regardless of whether it is from settlements along the river or in the inland,’ says Stenborg. The network of settlements in different environments not only gave people access to different types of natural resources, it also enabled them to farm the land for longer parts of the year. Since the river banks are flooded during the six-month rainy season, those areas are farmed during the dry season. In contrast, it was during the rainy periods that farming was possible in the inland areas.